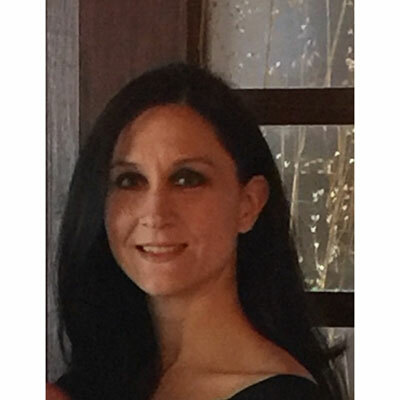 Melissa Nacerino is Sr. Director of Worldwide Channel Marketing for Palo Alto Networks. In this role, she has responsibility for channel marketing strategy and execution through Palo Alto Networks' NextWave value-added resellers, system integrators, managed services partners and distributors. Melissa and her team are charged with accelerating momentum for Palo Alto Networks with its expanding ecosystem of partners. Nacerino has spent over a decade managing highly successful teams and creating impactful partner marketing programs within the unified communications and security industries. She possesses extensive experience spanning pipeline generation, communications, partner programs and channel enablement. Prior to joining Palo Alto Networks, Nacerino led the U.S. Channel Marketing team at Avaya where she renewed focus on partner contribution to bookings and pipeline. Nacerino also held Director-level positions at both a regional reseller partner and software startup. She began her career in government and politics where she held positions in both the state and county government in New York. Nacerino earned a Bachelor of Arts degree in Political Science with a dual minor in Women's Studies and Spanish from the State University of New York at Cortland. Over the past year, we have tooled the channel marketing team to be a valuable engine supporting our focus on expanding protections to the endpoint and cloud. These are two new specializations within our NextWave program to compliment our existing partner ecoysystem. We have developed new tools, campaigns and promotions globally to help advance our channel business. We also continue to raise the bar in terms of overall partner engagement, alignment, enablement and demand generation. For example, our Partner Up tour in the U.S. is now in its third year and expected to attract over 2,000 attendees across 13-cities. Over the next year, a significant focus area for my team and I will be expanding our routes to market including cloud, endpoint, MSSP and our Global Systems Integrators. Our goal is to continue evolving our channel ecosystem to best support how customers are consuming security technology. It's difficult to name just one. I maintain admiration for so many amazing women, from colleagues and friends to female trailblazers in business and beyond. Every day, I find myself admiring the passion, strength, intelligence and genuity of those around me. I would have two pieces of advice for my 16-year old self. First, a reminder that experiences shape who we are and there are always lessons to learn from them. Second, our path is never a straight line. Enjoy the ebb and flow of the journey and you'll end up exactly in the place you belong. I would love to code! It's absolutely not necessary for my role, but Girls Who Code are hard-core and I admire them. Otherwise, it would be time management. With continued work-life blending, I consider this a skill that most of us need to focus on to strike a balance that works for each of us. I'm an avid reader so this is a tough question, but Leaders Eat Last by Simonn Sinek stands out. To me, team dynamic is a leading characteristic of successful organizations. I am extremely passionate about cultivating teams so this book was definitely one of my favorites.